Buying cars isn’t something we enjoy doing, according to new research. But despite our dislike for the process, the research found that customers’ expectations when it comes to buying cars are frequently worse than the reality. The research was carried out by car sales company Auto Trader. Over the last two years it asked more than 1000 buyers for their thoughts. Results showed that 43 per cent claimed to fear sales person pressure. 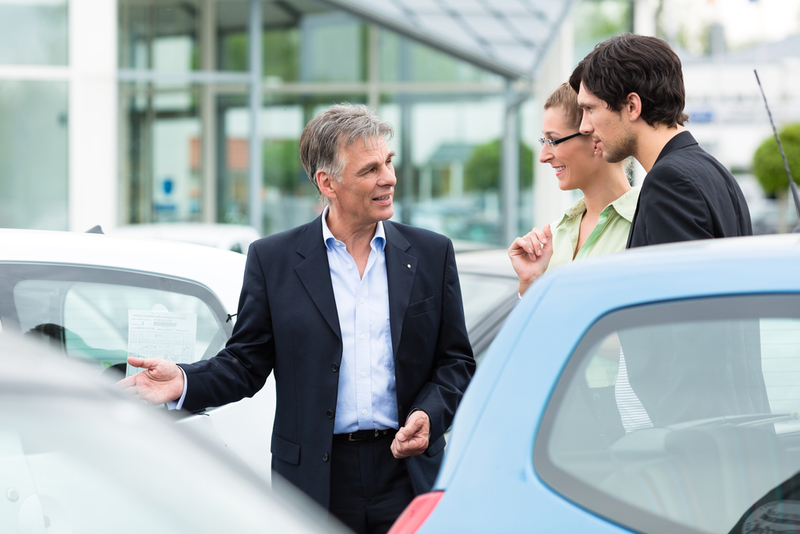 A third (33 per cent) of people buying cars worried in advance of their visit to the dealership about negotiating on areas such as price, finance and part exchange. However, when it came down to conducting the transaction, only 21 per cent said sales person pressure had been a problem. And just 17 per cent claimed not to have enjoyed dealing with showroom staff. In total, three quarters of buyers said they were either satisfied or very satisfied with the whole process of buying cars and face-to-face interaction was most likely to shape a positive impression. Finding the right dealer was also problematic for people. But this was one area where people’s expectations met with reality. Nearly a quarter (23 per cent) of those buying cars said finding the right dealer was hard while 22 per cent worried about it in advance. Auto Trader’s director of insight, Nick King, said: “There are clearly things that could be done to smooth the journey for buyers both on and offline. We know for example that part exchange negotiation is often the breaking point in a deal.” Interestingly, 57 per cent said they would be more inclined to buy from the same dealer if the experience had been better. Those taking part in the survey were asked what might improve the experience of buying cars. Top was a freedom to browse without any pressure. Better information about the real cost of cars was next up. And car makers were also criticised for their websites. Thirty one per cent of people would like to have a ‘one-stop shop’ to find everything online. Clearer information on car prices (29 per cent) and better information on the best car deals and finance (28 per cent) completed the top five. Meanwhile the latest part of the Auto Express Driver Power survey has revealed that Lexus has the best dealers in the UK. The report asked the opinion of 61,000 of the UK’s drivers. It represented 32 makes of car and there were 43,655 ratings of franchised dealers. Lexus dealers were voted the best for the 14th consecutive year. They recorded a satisfaction rating of 93.56 per cent, a record score. Partner brand Toyota was second. It was followed by Jaguar, last year’s runner up Honda and Peugeot. The bottom five makes for dealer satisfaction were Chrysler, Suzuki, Volkswagen, Nissan and SEAT.